Sam’s Top Secret Journal: Sam’s Secret Island will be on sale for $0.99 from 09/15/2015 through 09/17/2015. Sam is an eighth-grade girl living a regular life, enjoying her family, school and traveling. She doesn’t feel different but sometimes others treat her differently because she has Down syndrome. 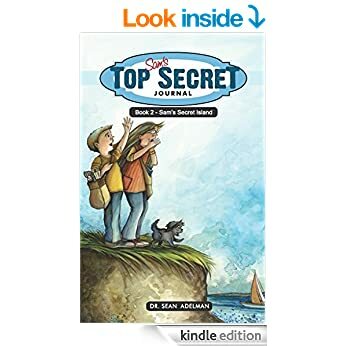 Sam’s private journal chronicles what begins as a summer vacation…and turns into a brand new adventure, filled with friendship, mystery and a secret island. Readers will laugh, learn and hold their breath along with Sam as a simple stay at the beach becomes more exciting than she ever imagined.